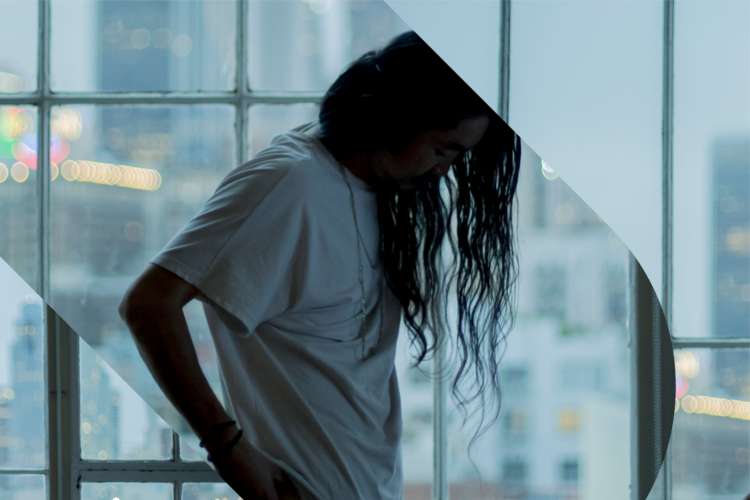 LA-via-Tokyo producer and multi-instrumentalist starRo acts as a bridge. He not only fuses sounds that explore Japanese and western influences, but also navigates the intersection of live and electronic sounds. He incorporates jazz, R&B, and soul into his productions, melding the funky and eclectic with the smooth ambience of electronica. In celebration of his newest sample pack, chock-full of LA-inspired sounds and foley, we sat down to discuss his favorite plugins, synths, and what he needs to stay inspired. To start, can you give us a rundown of your studio space? I’ve had this studio space for about one and a half years. It’s in the arts district of LA downtown and in a huge warehouse building that has been a low-key music powerhouse of LA for years, having tenants like Mad Decent, iHeartComix, MixMag was there at one point, and there used to be a music venue called House of Guevara. I chose this location because the downtown area is where the emerging music scene is happening, and it’s really easy for my fellow musicians to casually stop by for collaboration. Because it’s in the warehouse I can blast the music as loud as I want and there is a huge window that brings natural sunlight which is a part of huge music inspiration for me. What is your preferred DAW of choice, and what is your physical studio setup like (monitors, pre-amps, interfaces, etc.)? Ableton Live. Yamaha HS-8 for monitors, UA Apollo 8 for audio interface, Focusrite ISA One for pre-amps, a few synthesizers, Fender Rhodes, etc. Your synths so seamlessly interweave the digital and the analog, the new and the nostalgic. It’s often hard to tell what’s created in or outside of the computer – can you speak to your synth work? What synths do you use, and what kind of processing do you typically apply? Are you using primarily hardware synths, or do you use any VSTs? I use the Korg Poly 800 II a lot, a synth from the 80s. That’s why my music always has a bit of a late 80s, early 90s sound. I often use a Micro Korg, Pioneer AS-1 for the bass, and Juno-DS for various sounds. I don’t know if I do anything special as far as processing is concerned. To me it’s more about EQing. Mid range is where the umami of these hardware synths is coming from, so especially pay attention to that while cutting some of the high frequency from the recording noise. But I don’t have as much hardware as I used to anymore. Plugins are amazing nowadays. I use a lot of Arturia. Massive is also my go-to. I use Serum too but not the presets that sound too hi-fi EDM stuff. I don’t really choose hardware vs. software based on the sound quality. I base on what works for the workflow and also simply based on what kind of sound it can make that matches the song I make. How do you maintain a human feel within your music, specifically within the confines of electronic production? What sort of tips and tricks do you use to give your music groove and rhythm? Do you tend not to quantize things? I always play on keyboard with my own hands even if it’s a simple snare that’s faster to track with the drum roll. It’s not just creating random timing but also random velocity which is a key to make the groove. And no, I actually never used the quantize function of Ableton. If I have to adjust the timing I manually edit it one by one. How do you mix your drums? Are you using buses? Do you have a particular mixdown process? I don’t know if it’s good or bad but I never make one drum bus. I group it by kick, snare, and hi hat at least. I tend to use this plugin called Smack Attack for the kick and snare to make it punchy and attacky. And I use iZotope’s Ozone Imager to narrow the kick or widen the hi hat or snare – depends on what I want to achieve. Tell us a little about creating your sample pack. It incorporates quite a bit of foley from around LA – where and what did you record? What were you trying to capture? I tracked them in downtown, Silver Lake, Korean Town, etc. I tried to capture something that’s very visual. For example, the Asian lady chit-chatting in Chinatown, waiters clearing up the dishes from the table in the restaurant, some local Mexican grocery store, etc. I live in downtown myself and all the sounds I captured are part of my daily life. It was really fun to chop them up, mash them up, and make some groove loops cause it created some musical experience to what I see and feel on a daily basis. The artwork for your pack reminded me a bit of the work by Hiroshi Nagai, who has done artwork for the likes of Naoya Matsuoka and Eiichi Ohtaki. He would paint palm trees and scenes inspired by LA and Americana art, although he himself was based in Japan. What was your impression of LA before you decided to move there? What did you expect of the music scene? That’s a very interesting question actually. I grew up in Japan and we have English class starting from the middle school. And most of the visuals used in the textbooks are somehow mostly from LA, such as palm trees, beaches, ladies rollerskating in Venice beach and such (lol). And the cover of the textbook was, if I remember, Hiroshi Nagai-esque artwork. So to me that aesthetic always represents the vibes of LA. These types of artwork were also used a lot in Japanese urban music from 80s by the likes of Tatsuro Yamashita. Obviously I wanted to make the cover art for my sample pack self-explanatory. And I think my cover art perfectly reflects what the sound pack can offer. Lastly, in 5 words (or more), can you share with us the things that embody your creative process and give you inspiration? Whether it’s technical, atmospheric, ritualistic, emotional, etc. – we want to know what inspires you to create. Paint a groovy portrait with starRo’s eclectic palette of sounds.